The long lost recordings of the late Peter Thomson, lead vocalist and songwriter of 1980s Glasgow synth-band Secession, have been unearthed and reveal a tortured musician at the height of his game. The Scottish entrepreneur Hamish Brown managed Secession. Secession found a cult following during their active years, and they were originally signed to Beggars Banquet for whom they released the 2 singles Fire Island and Touch, in 1984. The single Touch became a dancefloor favourite in countries such as Germany and the US and was covered by Epic Records artist NoHo, who enjoyed even greater success with the song, taking it into the Billboard chart. Secession then went on to sign to Siren Records, then a subsidiary of Virgin. They released 5 singles — Michael, Radioland, Promise, Sneakyville, and The Magician between 1986 and 1987, by which time they had delivered their debut and only album, A Dark Enchantment. Though the single Michael had been picked up and A-listed by Radio 1 in the UK, a difference of opinion between the band and Siren over the mixes resulted in Siren being accused by Peter Thomson of failing to manufacture enough copies of the single to satisfy demand. Having narrowly missed out on the UK Top 40. Secession disbanded even before the album A Dark Enchantment was released. Peter Thomson had carried on writing and recorded some new songs on his home studio setup, using an Emulator II+ HD keyboard, Yamaha DX7 keyboard, Roland 909 drum machine and sequencer, as well as Fender and Rickenbacker guitars, and a Fostex 4 Track Analog Cassette Recorder. He gave Hamish Brown copies of those final songs on cassette, and Hamish took them to California. 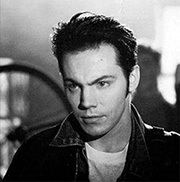 Peter, who battled alcohol addiction, and what has since been identified as an undiagnosed mental illness, took his own life on March 28th, 2001. The cassettes remained unplayed until late 2017 after Peter Thomson’s widow, Margaret Thomson, discussed with Hamish ways of honoring Peter’s memory. 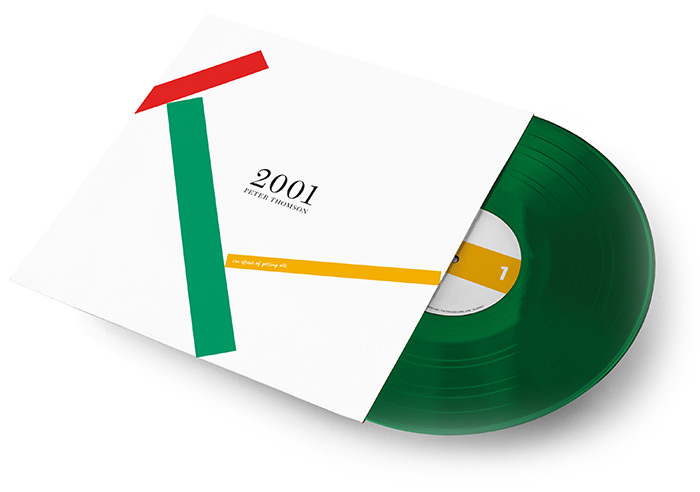 The final songs that Peter wrote are Tomorrow Belongs To Me, Make You Cry, Finest Hour, 2001 (Instrumental), Disco Vampire, and 2001 (I’m Afraid Of Getting Old). The songs reveal Peter Thomson to be someone using his creative output to cry for help, yet Peter’s enigmatic style and tortured lyrics reveal a pop sensibility. Only a few weeks to go ‘til we can share the official launch date of Peter’s album, and launch party! We hope to bring something positive to the world from Peter’s untimely death, and proceeds from the album will be donated to @joshuanolanfoundation which aims to reduce the number of suicides in Scotland by helping those who need it gain access to quality counselling. The release of the 6 new Peter Thomson songs, and select tracks from the Secession catalogue will benefit the Joshua Nolan Foundation in Edinburgh with a share of the profits. 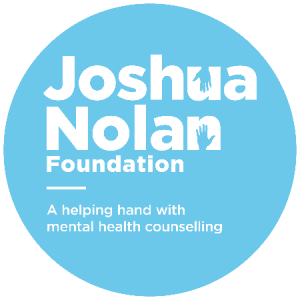 The Joshua Nolan Foundation fund counselling sessions for people who have been identified as ‘at risk’ of suicide. Two people end their lives in Scotland every day. That’s more than the amount who die on Scotland’s roads in traffic accidents. UK wide suicide is the biggest killer of men between 20 and 49. And that’s even more than cancer and heart disease. Every suicide is a preventable tragedy.